Roger B. Chaffee Elementary School (Chaffee Elementary) is a Pre-K through 5TH grade school located in South East Huntsville; Current enrollment is around 400 students. Chaffee Elementary was built in the late 1960s with a pod classroom design and opened to students in 1969. To learn more about Chaffee Elementary and other Huntsville City Schools architectural history visit: A Brief Sketch of Huntsville's School Architecture or visit the Chaffee library to see old yearbooks, photos, newspaper clippings and/or other historical Chaffee artifacts. 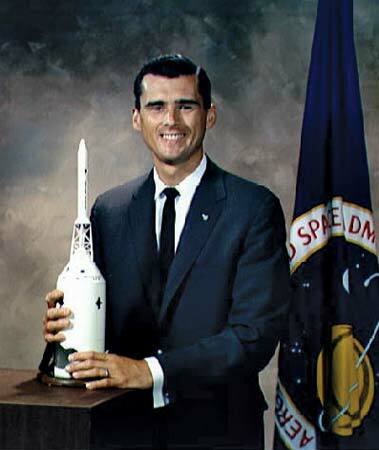 Roger Bruce Chaffee was an NASA astronaut that was part of the Apollo 1 crew along with Virgil I. Grissom and Edward H. White II. To learn more about Chaffee visit: AVL: Britannica. To establish an environment of high academic expectations for all students through common goals, and participatory learning, in which individual exceptionalities are celebrated within a safe and nurturing learning environment.